Z Axis/Extruder plate bracket by Usagoal is licensed under the Creative Commons - Attribution license. This is a cable/energy chain bracket that is mounted to the extruder motor plate. 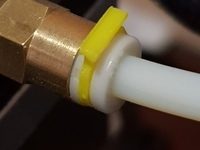 It allows you to connect the cable chain (jonniewhiskey's cable links) from the frame to extruder. 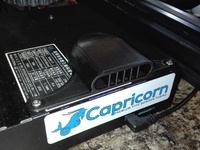 It uses the original hardware plus an optional push clip in the corner hole of extruder plate for additional support. 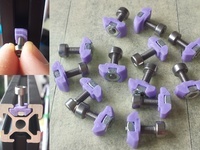 The push clip may need to be scaled depending on your printer settings and the tolerance of the hole. Its a tight fit and helps keep the corner of the bracket in place. 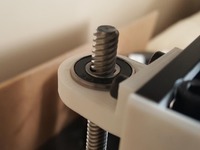 To install: Remove two nuts from the lower rollers and the z axis screw. Set the bracket in place and put the nuts back on. I left out a washer because of tight clearance behind the extruder motor. Again, the push clip is optional. You may have to re-level your bed if you loosen the guide wheels. I wanted a bracket to keep the end of the cable chain supported and to keep the wiring nice and neat. I know some folks moved their wiring from it's original location so I have a "wing" on either side of the bracket to lay your wiring down and slots for small wire ties. I hope you enjoy this and I will try to respond to questions and comments when I can. Scale push clip as needed.  Say thanks by giving Usagoal a tip and help them continue to share amazing Things with the Thingiverse community. We're sure Usagoal would love a Tip, but unfortunately they have not setup their accounts to receive them yet.